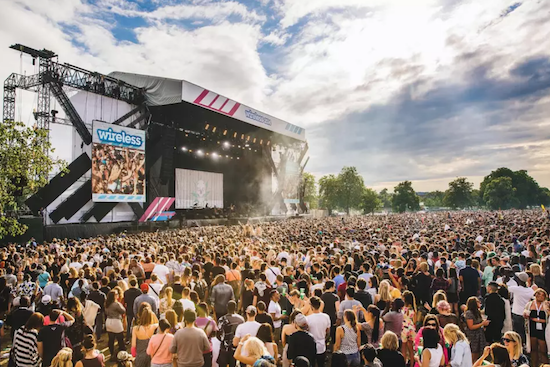 Artists playing Finsbury Park's Wireless festival next summer will be asked not to use "offensive language"
A bizarre set of licensing conditions has been placed on Finsbury Park's Wireless festival ahead of next summer's event. Under the new guidelines, artists playing the festival will be asked not to swear or wear "offensive clothing". The measures have been put in place following criticism of the event by a local group called The Friends of Finsbury Park, who had campaigned for the event's license to be revoked altogether. Highlights from the list of new conditions include a request that artists playing "do not sing or play any vulgar, obscene or banned songs" and that they do not carry out any "indecent acts, vulgar gestures, actions or remarks" during their sets. There've also been new sound level limits placed on the event while the final day's proceedings of next summer's edition will finish at the earlier time of 9.30pm. This year's event brought in a crowd of around 37,000 people, while 67 complaints were made about anti-social behaviour.